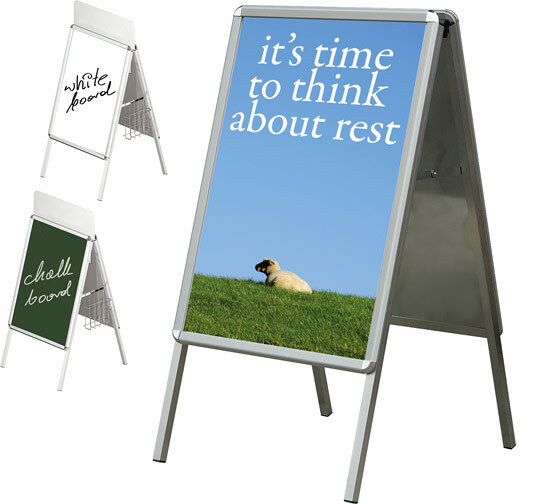 Pavement Signs | 2×3 S.A.
Easy to open snap frame 32 mm includes the anti-reflex cover, round corner. 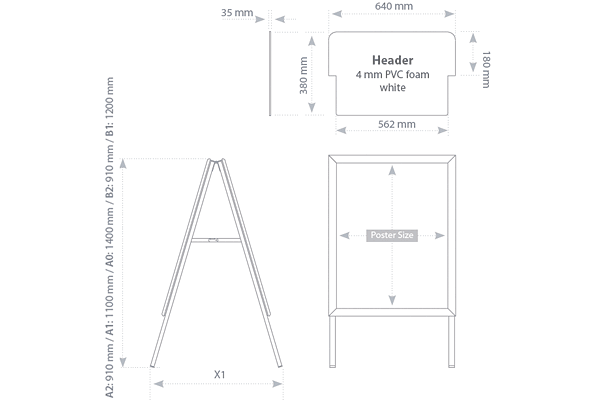 Header board and brochure basket options are present. There is a possibility to buy an extra white plate for writing with markers (BSTZ) or green plate for writing with chalk (BKTZ). We advise to use for printing graphics: Banner paper 150 g with protective laminate. Easy to open snap frame 32 mm includes the anti-reflex cover, round corner. 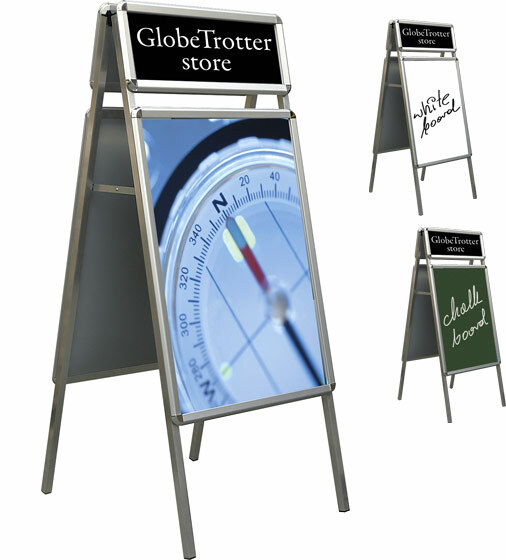 Additional snap board for logo or different information. There is a possibility to buy an extra white plate for writing with markers (BSTZ) or green plate for writing with chalk (BKTZ). 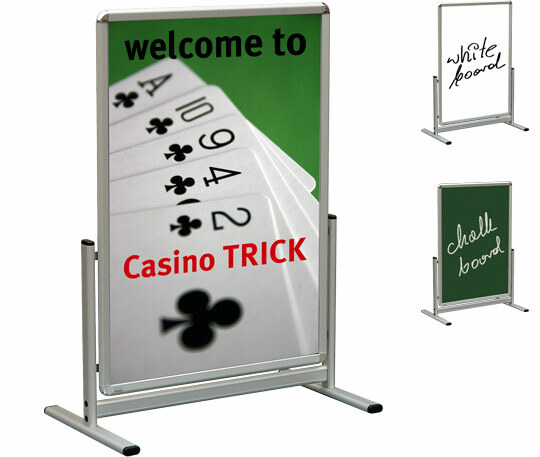 Easy to open snap frame 32 mm includes the anti-reflex cover, round corner. 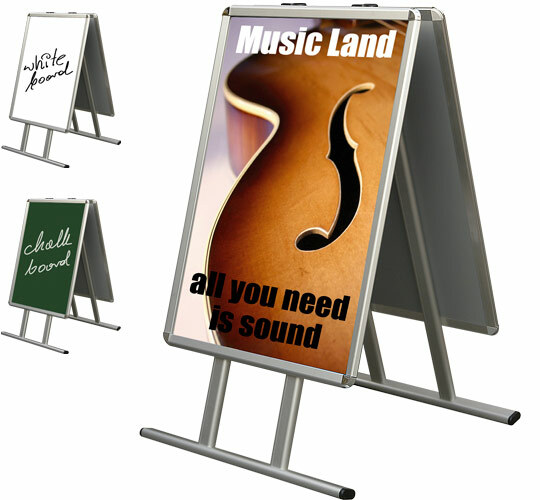 Elegant stand made with OVAL aluminium profile. There is a possibility to buy an extra white plate for writing with markers (BSTZ) or green plate for writing with chalk (BKTZ). 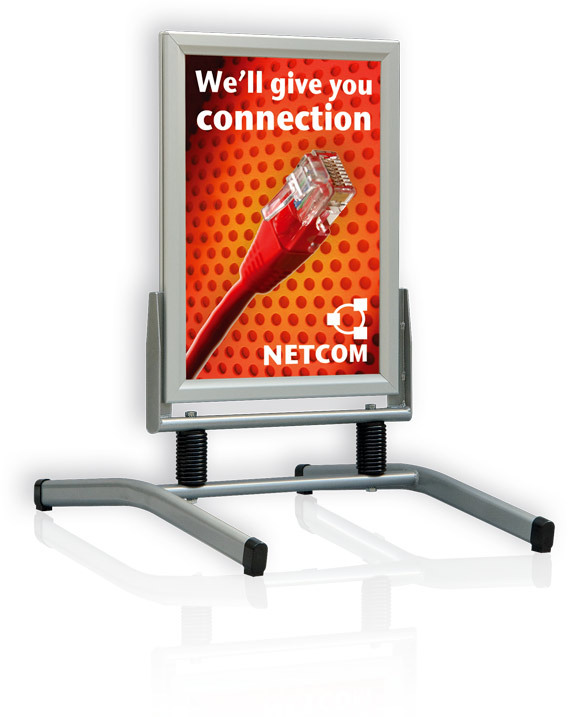 A double sided customer stopper, practical to change the poster within. 32 mm profile, snap frame, round corner. 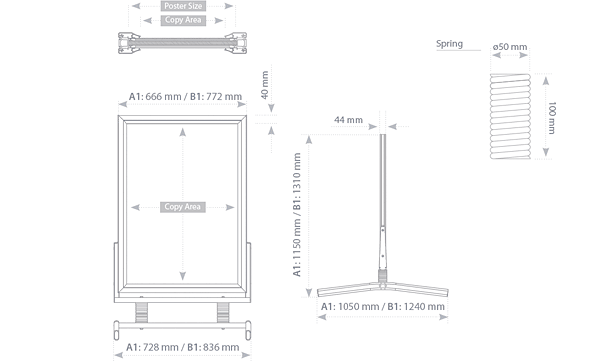 Stand made of aluminium profile. There is a possibility to buy an extra white plate for writing with markers (BSTZ) or green plate for writing with chalk (BKTZ). Easy to open snap frame 40 mm for external use. Can be used as double sided. Steel springs provide flexibility to keep it stable.